Simplify and modernise your meeting spaces with secure, scalable voice and collaboration solutions and services that allow you to share information with those who matter, anywhere, anytime. From standalone solutions for single huddle rooms and meeting room spaces to larger enterprise rollouts with enhanced security, central asset management and large-scale connectivity, we can help you bring people, content and ideas together with easy-to-use tools that make collaboration simple. Turn stressful meetings into complete sharing experiences at the click of a button with our intuitive, wireless content sharing solution. 82% of people bring their own device to meetings and expect to be able to present instantly. Empower your team and guests with the freedom to instantly share content from PC’s, Macs and mobile devices straight onto a presentation screen thanks to the clever USB powered button and content sharing app for iOS and Android. This centrally managed solution works with almost everything in your meeting room, integrating with guest and corporate networks for intuitive, straightforward content sharing. Its balance between security and trouble-free sharing means you can present with the confidence that sensitive data is safe behind three configurable levels of robust enterprise grade security for continuous protection. Make every meeting count and reduce operational costs with user friendly conferencing phones, providing seamless, flexible communications with superior audio quality. Remove the need to flip between multiple apps to get the job done by providing employees with a single application for voice, video, messaging, presence, audio conferencing, mobility and team collaboration. Innovative phone manager apps remove the need for employees to learn multiple applications by providing a single, easy to use application that delivers call control, messaging, presence mobility and complete control over their telephone from their PC. Add tracking cameras, ceiling microphones or wireless content and annotation as needed, depending on the requirements of each unique meeting space. Give online meetings a face and see the details when it matters with video conferencing. Remove the technical barriers between conference room systems, computers, mobile devices, browsers and applications. Seamlessly integrate video, audio and web conferencing together with the collaboration tools you use everyday with our Cloud based meeting room solutions and make your meetings intelligent. Enhance your company’s IT experience, increase productivity and accelerate the decision-making process with video-enabled meeting spaces. Instantly join, host or manage a video, audio or web meeting from a conference room, your desk or a remote location from any device, benefiting from immersive HD video and Dolby Voice audio. With a single click, you can add a video meeting to any Office 365, Outlook or Google calendar invite without entering pin codes, conference IDs or passwords. Record your video, audio and shared content to immediately share post-meeting. Our streamlined, consolidated video conferencing solutions enable agility, flexibility and scalability by bringing together a range of communications technologies, improving user productivity and relieving strain on IT resources. We wanted a supplier that we felt would continue to support us after deployment and become a long-term partner. 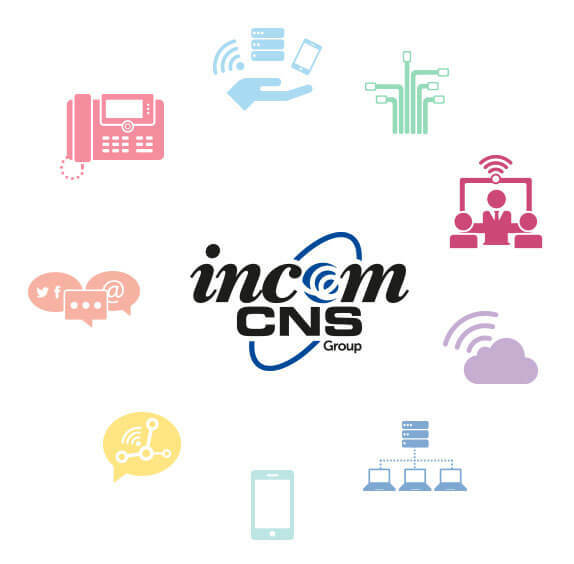 We are extremely happy with Incom-CNS and would not hesitate to recommend them to other housing providers.